White Republican voters officially became the cult of Trump last week. It took less than 18 months for them to smash their moral compass and blindly follow orders. One of the mysteries of the rise of Hitler was how the average German, as opposed to the die hard Nazi, could follow the cult of a madman. A new report by Jeremy W. Peters at the New York Times is shedding light on the psychology of regular people losing sight of their own humanity in order to follow the cult of Donald Trump. These are not necessarily rabid white nationalists. Some of them are just average white Republican voters who, in their desperation to remain relevant, are caught in a spiral of self-justifying insanity. Republican voters repeatedly described an instinctive, protective response to the president, and their support has grown in recent months: Mr. Trump’s approval rating among Republicans is now about 90 percent. Yet many Trump voters said that they no longer had the patience or interest to listen to what they see as another hysterical outburst by Democrats, Republican “Never Trumpers” and the media. Fox News, AM Hate Radio, and right wing hate sites play a role, of course. By playing the soothing pro-Trump sounds they need to hear, they put Trump&apos;s followers to sleep . Propaganda is always important to provide an alternative narrative to reality. But even without it, it&apos;s very possible that Trump&apos;s supporters would just tune out anyway. Rejecting dissonant information is a necessary survival skill for the cult member. Trump was sworn in January of 2017. In less than 18 months, he has so manipulated his base that they either didn&apos;t care that children were being torn from their mothers and put into cages or they actively cheered for it. That&apos;s a dizzying fall for the Christian "pro-life" party of "family values". True, their claims to the moral high ground were always laughable. Still, the speed with which they&apos;ve abandoned even the pretense of being anything but white nationalists is terrifying. One of the ways atrocities happen is that the monsters in charge desensitize their followers. They stage small outrage after small outrage until they&apos;re numb. Each step makes the next one easier until it doesn&apos;t seem like a bad thing to tear babies away from their mothers. Next, it won&apos;t be wrong to sterilize them. Then why not euthanize them? They&apos;re not really people anyway. They&apos;re an infestation. Donald Trump said so and the leader is never wrong. Millions of Americans have sworn their allegiance, not to America or its constitution, but to Trump. 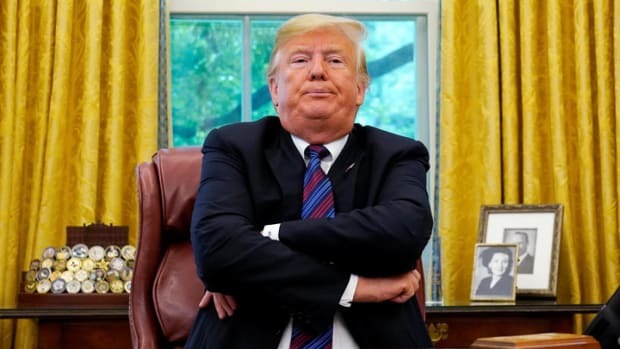 Our only saving grace is that Trump is both incredibly lazy. Also, for all of his natural ability to manipulate desperate bigots, he&apos;s incredibly incompetent. If he&apos;d been a gifted administrator, or even capable of hiring one, the country would be in a lot worse shape. 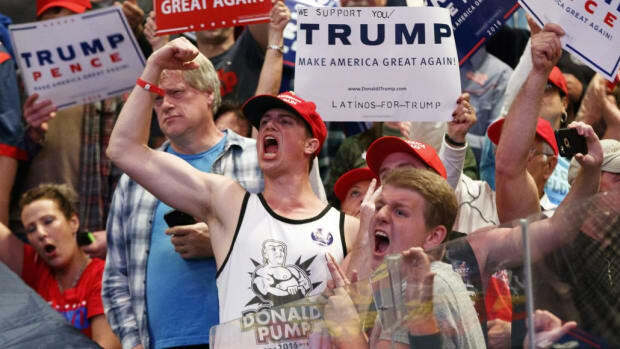 As it is, Trump still has two and half years left to mold his cult into a machine of violence. They&apos;re already willing to torture children in under 18 months; what atrocities will they be willing to commit 18 months from now?